The Philly Cheese Steak is an absolute institution. A Philadelphian will tell you, they invented Liberty and the steak sandwich. 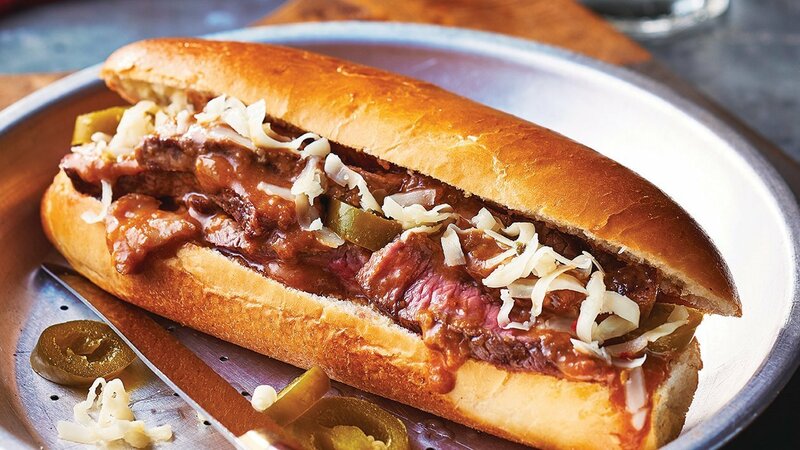 If steak in a roll is your thing, then your customers will love this philly. Try this recipe today! Add butter and white onion to saucepan and sweat, add 500 ml warm water, Knorr Demi Glace Sauce and grated cheese, simmer. Add steak back to pan and warm through. Fill buns with steak and sauce, top with pickled jalapeños, extra sauce and extra grated cheese.